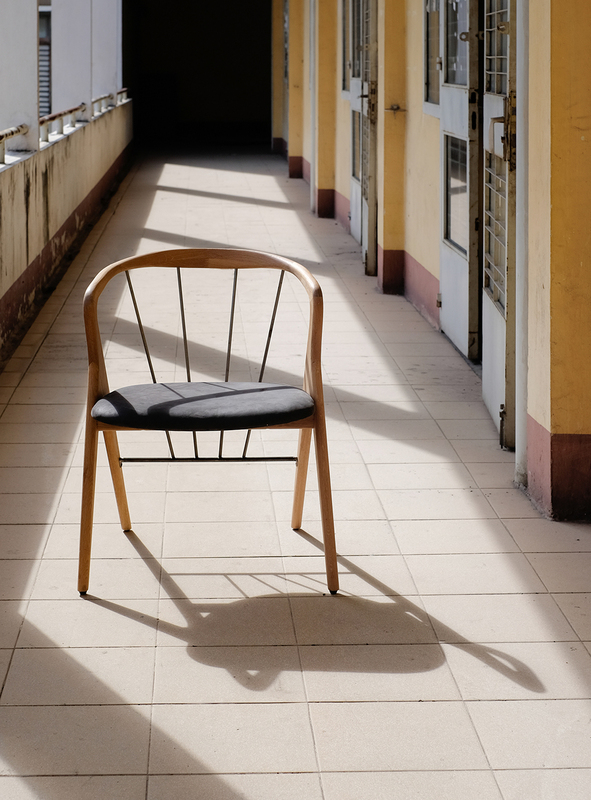 Centre Rays is an interpretation of Centre dining chair, developed for a local restaurant facing the rooftop garden in the heart of Saigon. The idea for this version comes from the restaurant's rooftop location which brings a great deal of natural light into the space. Rays is made from solid oak and has an organic shaped backrest supporting with four metal rays.